Howey, Hugh. Half Way Home. 2010 (Print version: CreateSpace Independent Publishing Platform, 2013). Buy the e-book here (on sale, apparently!). The short version: it's good enough, but Wool it ain't! My comments below, which might seem rather harsh at times, should be interpreted in light of the fact that I think the world of Wool and the subsequent books in that series; I wonder what I might have thought of this, apparently Howey's first effort, had I not had my expectations ratcheted up into the stratosphere by reading Wool first and expecting the same level of brilliance here. On the other hand, must we remain eternally chained by chronology, and be forever barred from unfavorably comparing, say, Picasso's Blue Period with his later work because it somehow isn't fair to judge an artist by earlier, more tentative efforts—will only a later masterpiece do? But wait! Perhaps we should question the entire notion that the career of an artist necessarily follows a shaky/tentative early work->mature/brilliant later work trajectory? Isaac Asimov, somewhere in the Foundation series, had his mouthpiece emphasize the fact that (he believes) scientists are only really brilliant, only capable of exploding existing paradigms and so forth, when they're in their twenties; after that, creativity plummets, and scientists tend to settle down into more conventional patterns of thought. Might that not be equally true of literary artists? And we should probably distinguish between two different types of quality, while we're at it: stylistic/writing quality versus the quality of ideas a given work presents. Elsewhere I tried to make the case that a writer's first work is likely to be very high in the latter, ideational category, especially when contrasted with sequels set in the same world or following the same characters. But as for the former, a first book might not be particularly well-written, since in this technical sense, at least, writers (or painters, etc.) often have plenty of room to improve over the course of their careers. So why do we read books/look at paintings/watch movies? There are doubtless many reasons, but I at least give more weight to the content/ideas of a given work than its technical perfection. I'm not trying to deny there can be plenty of pleasure in a well-crafted but essentially vapid story (I enjoy Michael Bay movies: Q.E.D.! ), or that ideas by themselves are somehow more entrancing than ideas when packaged in slick action scenes or what have you (I like the breathtakingly beautiful first eight minutes or so of Melancholia a lot more than the equally philosophically fascinating but less visually stunning rest of the movie, because I like pretty things!). I only mean to say that, on balance, ideas are (or should be?) more important than technical wizardry. 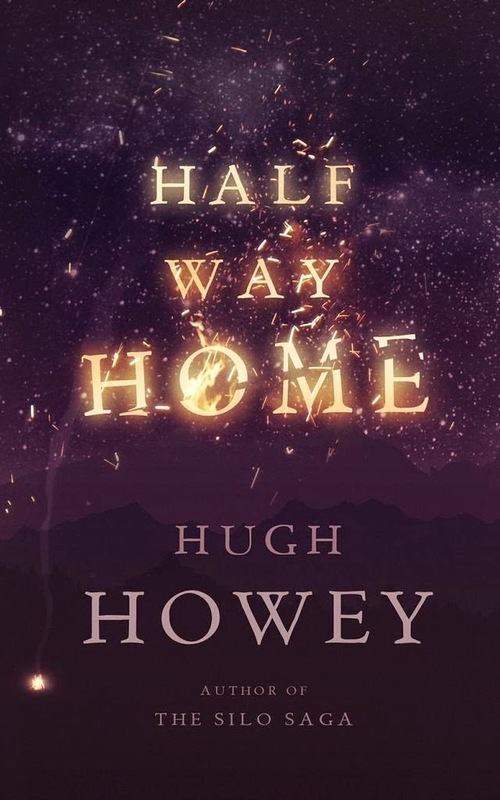 Since it was his first book, we might expect Half Way Home to be somewhat inferior in writing style and so forth to Howey's later works like Wool, and sure enough, it is—the dialogue is a bit less snappy, the descriptions less vivid/emotive. But great ideas can cover all manner of slight imperfections like that. Trouble is, I'm not sure the ideas at the center of the story are great enough to do so; they certainly aren't *as* great as those behind the Silo saga. That said, the story is certainly engaging, and plenty interesting. It concerns one possible (if, I would say, rather improbable) model for human colonization of other worlds, when such colonization is under the purview of an entity eerily similar to the villain placing 13th on the AFI's all-time list. One can detect a glimpse or two of Howey's brilliant 'What if...' approach to science fiction (brought to glorious fruition in Wool) here, as many of the parameters of the story are fascinating. But the characters, particularly the first-person narrator, don't have quite the vitality of our Wool-en friends, and their trials and tribulations are consequently less emotionally engaging. Moreover, I found it quite difficult to swallow the idea that some humans would willingly ally themselves with "Colony" (the AI) after seeing such stark evidence of what it was capable of (think Shia LaBoeuf's Eagle Eye, not the much better Asimov story on which it is extremely loosely based), even though it's an interesting thought experiment. Does all this mean that you should skip this and go straight to the Silo saga? Not at all—you should do what I say, not what I did, and read this one first, *then* graduate to the main course in Wool.